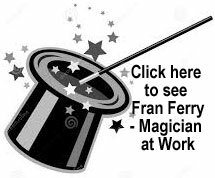 Fran has been performing magic since he was ten years old. After college, he taught photography at UMass Amherst, taught guitar, made guitars, wrote music books and children books, published short stories. Once he discovered that magic was his real passion, however, he left his other hobbies behind and traveled around the world performing magic. In many countries, he found that an interpreter wasn't unnecessary -- magic is a universal language that speaks for itself. 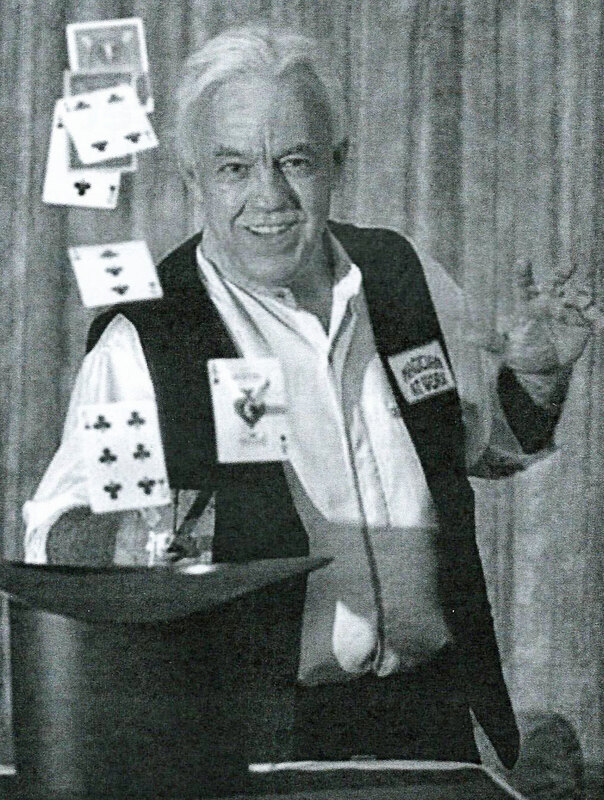 He is now a full-time magician living in Belchertown, Massachusetts - one of only two full-time magicians in Western Mass. The emphasis of Fran's shows is on humor and mystery. He chooses volunteers from the audience as his assistants. The shows are always appropriate to the age group of the audience. He performs for schools, blue and gold banquets, company picnics, and private birthday parties. He also works on the corporate level by doing trade shows, hospitality suites, and client functions. At trade shows, he demonstrates the client's product using magic. 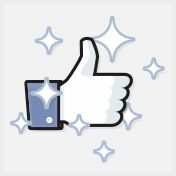 Presenting it in this way, customers are more likely to remember the company. Fran has been performing at School Shows and Birthday Parties with Rufus for the last few years. Rufus is a rabbit with an attitude. He calls it "Rabbit-Tude!" He causes mayhem and basically takes over the show. In addition to pulling his suspenders, telling silly jokes, and exaggerating stories about his fishing skills, he likes to finish by playing music. He has been known to play everything from children's songs to rock and roll. Lately he's taken to forming Conga Lines, with the kids following him to the music. All in all, it's a fun, comedy-based magic show for kids of all ages. 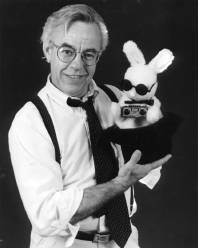 To have Fran perform at your special function, contact him by phone 413-323-4438 or by email FranFerry1@yahoo.com. Give him plenty of notice! Fran lives in Belchertown, MA and will travel a reasonable distance for reasonable price.